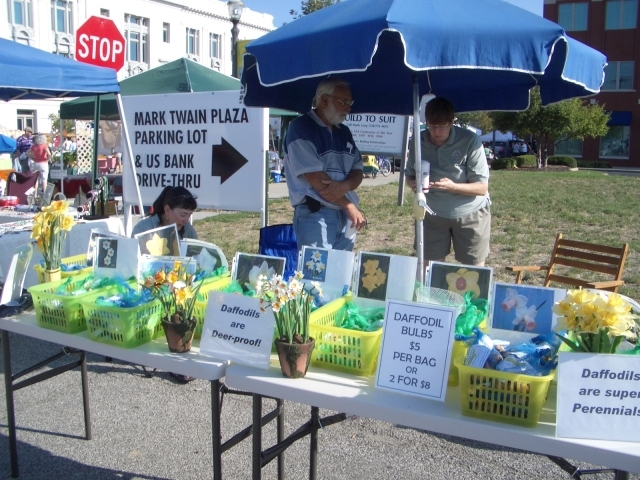 We are setup at the Goshen Market, and ready to sell Daffodil Bulbs. 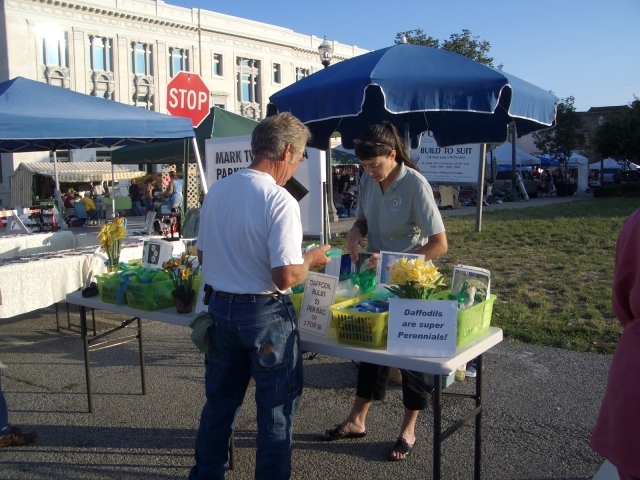 Lynn selling daffodils to a potential customer at the Goshen Market. 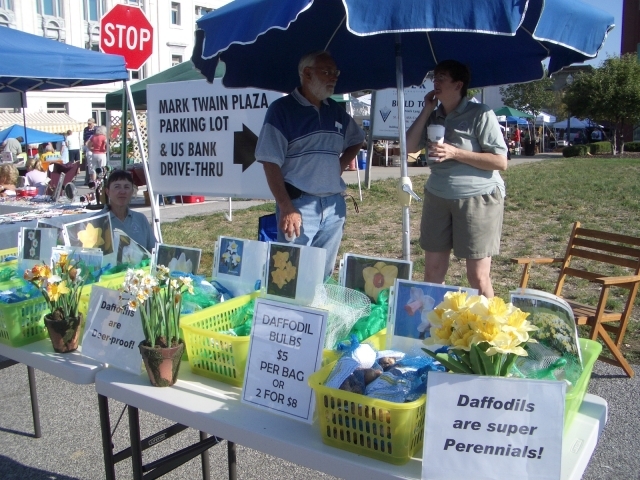 Beth and Peter discuss daffodils, as Lynn waits for another customer.